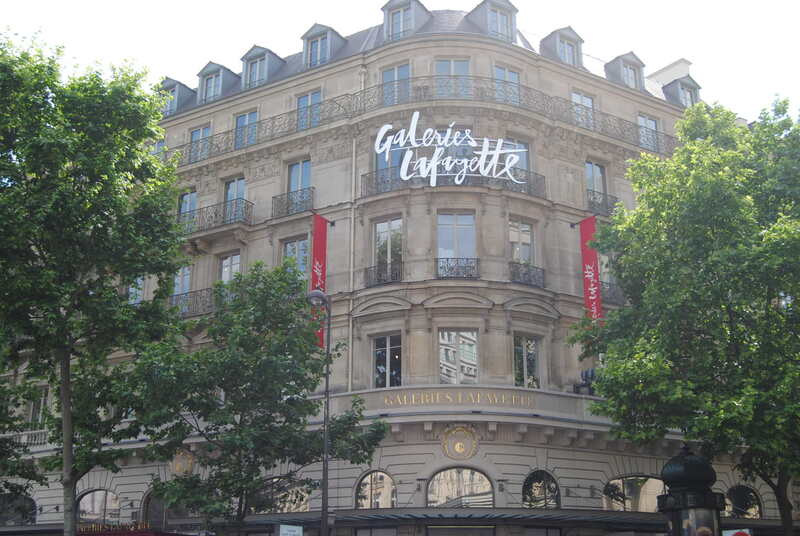 Galeries Lafayette is one of my favorite places to shop in Paris because it’s a one stop destination for everything related to fashion and beauty. I mean if you want luxury fashion ( ie Saint Laurent or Fendi ) or high street fashion for Parisian brands (ie Isabelle Marant or Maje) it here all are under one roof. And not only that they have an amazing selection of some beauty products in their beauty section on the first floor. Maybe you’ve seen my previous posts for Valentine’s day where we had a Galentine’s Day celebration with a lunch at Laduree and a pampering beauty session with some other friends and Parisian bloggers. I wanted to tell you because I heard about it I was like wow this is this is absolutely what a lot of my friends are even people who I plan weddings for want when they come to Paris, the package basically includes a concierge service within Galeries Lafayette, you get Express tax refund (we all know how important that is when you’re travelling!) there is also access to a lounge there’s champagne and pastries and you also leave with a Galeries Lafayette tote bag. Speaking of leaving at the end of the package there is a shuttle that will take you back to either your Hotel or apartment. I mean how cool ? It’s without saying that one of the best views of Paris is on the rooftop of Galeries Lafayette. I think it’s been overlooked for a really long time I think just because most people don’t think of going into a shop to see the best aerial view of Paris but you get a spectacular aerial view of Paris and the Eiffel Tower. Also one of the things I love about going out is that they’re unlike many places open on a Sunday that is so rare! There are two restaurants where you can enjoy some drinks and food on the rooftop. Also there is an area where it’s basically general free entrance so anyone can come up and it’s sort of like an observatory to overlook Paris. It’s also a great place to take the entire family to come and enjoy a bit of sun on the rooftop and pics of Instagram photos. I’m giving away two special invitations to this Parisian Day shopping experience package all you have to do is to make sure that you’re following 1. myparisianlife and 2.Galeries Lafayette on Instagram and 3. tag in your travel buddy or whoever you do love to enjoy this experience with and within two weeks we will announce the winner. See you on Instagram !